The purpose of this book is to give a clear and straightforward account of the remarkable properties of the nicotinic receptor for acetylcholine, a membrane protein involved in chemical transduction in the nervous system that is also the target of a widely used drug, nicotine. This molecule also happens to be the first pharmacological receptor and ion channel ever to have been identified. Jean-Pierre Changeux has played a leading role with Stuart J.Edelstein in the investigation of nicotinic acetylcholine receptors and allosteric proteins. The aim of this book is not only to review the most recent experimental and theoretical breakthroughs in the study of the nicotinic receptor, but also to give the reader a sense of the intellectual excitement and adventure that accompanied the various stages of discovery. Stuart J. Edelstein is Professor of Biochemistry at the University of Geneva and a foreign associate member of the Academy of Sciences. "The nicotinic acetylcholine receptor has served for many decades as the prototype for neurotransmitter receptors. Acetylcholine was the first neurotransmitter shown to be involved in the fonction of the mammalian brain and its nicotinic receptor the first receptor to be characterized. Jean-Pierre Changeux is the indisputable pioneer in this field. This volume summarizes with great lucidity the history of a highly important topic in neuroscience." "From the molecule to thought itself - an extraordinary journey! Changeux and Edelstein are uniquely qualified to relate this utterly fascinating story, whose philosophical implications are no less important than the scientific research underlying them." "The human brain is as much a chemical as an electrical network. Its intricacy and sophistication set it apart from any known technical device. The groundbreaking papers by Monod, Jacob, Wyman, and Changeux in the 1960s on chemical regulation and control were eye-opening for all us who were doing experimental research in ths field, and they have turned out to be crucial for understanding biological evolution and learning in a broad sense. Since then Changeux and Edelstein have achieved international fame for their work on nicotinic acetylcholine receptors, amply documented in this masterful account." 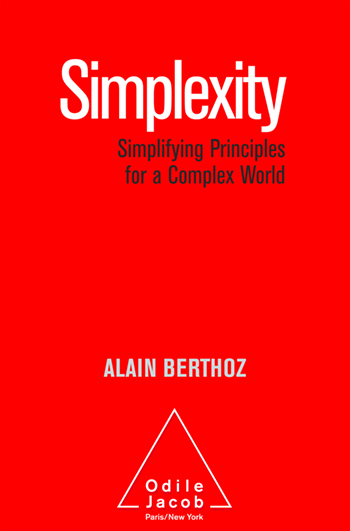 "One hesitates to call this book a monograph, for despite its comprehensive treatment of a complex subject it is not meant solely for specialized readers. In concentrating on a single class of neuroreceptors, the nicotinic acetylcholine receptor, it seeks to draw out general principles which apply more widely. It will therefore be welcomed not only by serious workers and students in the field of neurobiology, but also by anyone interested in the broader field of neuroscience." 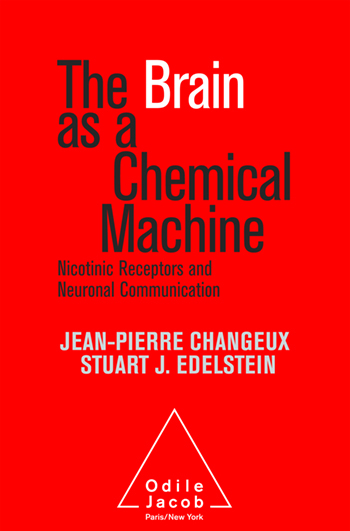 "Changeux and Edelstein have provided a concise yet highly comprehensive account of perhaps the prototypical neurotransmitter complex, the nicotinic acetylcholine receptor. The story of how the roles played by this signal transduction system in nicotine dependence, learning, memory, and the processes of cognition came to be unraveled is an exciting saga, both beautiful and profound. A lovely historico-scientific document." "Changeux and Edelstein describe a classically Cartesian process of scientific investigation that leads to a most non-Cartesian conclusion. Having elucidated the mechanisms of action and interaction by which the various elements that make up the nicotinic acetylcholine receptor operate throughout the nervous system, from neuromuscular junctions to the brain itself, the authors turn to the role of thse structures and mechanisms in supporting cognition and giving access to consciousness - thus parting ways with Descartes and the view that the mind is able somehow to exist independently of the body. 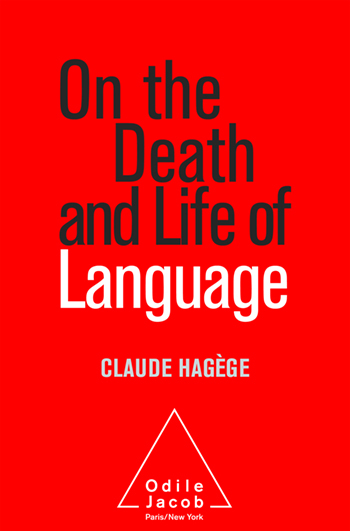 A work of truly remarkable erudition and insight." “This book is unlike any recent scientific book. It is more like a forty-year research meeting in one of the world’s most creative neurobiology laboratories—an intellectual tour de fortcheat surveys the developmental trends and achievements of twentieth-century neuroscience in molecular, structural, and functional terms. The book therefore becomes an extraordinary educational saga, moving from Sir Henry Dale’s pharmacology of nicotine to genetic diseases involving mutations of the cation channel function of nicotinic acetylcholine receptors. Research into these archetypal proteins has been carried out by pharmacologists, biochemists, molecular biologists, electrophysiologists, behavioral scientists, and geneticists, with Jean-Pierre Changeux and his coworkers participating in every aspect of this remarkable inquiry. Nicotinic acetylcholine receptors are the workhorse of the fast actions of the chemical signal acetylcholine, abundantly transmitted in both the peripheral and the central nervous system. Thanks to their variable sub- unit composition they come in many flavors, mediating control of voluntary muscles in the periphery and helping to regulate reward functions, cognition, and memory in the brain. This rich functionality leads the authors to describe models of neuromuscular junction development as well a global workspace model of cognitive function and its role in effortful learning. The nicotinic acetylcholine receptor was among the first ligand-gated ion channels to be sequenced and studied by patch-clamp methods. It has been the object of neurobiological research in England, France, Germany, Japan, and the United States, with contributions of equal weight being made by many teams of researchers over a number of decades, all carefully chronicled and explained by the authors. This book is to be highly recommended to young scientists who want to discover into how many fields a single protein molecule can take them—from snake venom action to myasthenia gravis, addiction, learning, and schiz- ophrenia—if they are willing patiently to learn new research techniques rather than specialize in a single method or instrument.